Stanley G. Puszcz, a founding member and managing partner of Sparta-based CP Professional Services, has become board certified in environmental engineering by the American Academy of Environmental Engineers and Scientists. ﻿October 2017 - Sparta, New Jersey - Stanley G. Puszcz has become board certified in environmental engineering by the American Academy of Environmental Engineers and Scientists. He has over 30 years of experience of providing professional engineering and applied science services to a diversified group of clients from municipalities and state agencies to life science and manufacturing industries. He has managed or directed projects in municipal engineering, environmental remediation, land use analysis and engineering design. CP Professional Services has been the firm of choice for public and private clients for over 30 years. CP is a privately held multi-discipline consulting firm offering civil, mechanical, electrical, plumbing and fire protection engineering, architecture, water resource engineering, environmental, applied sciences, and life sciences consulting. 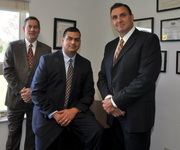 Headquartered in Sparta, CP also has offices in Florham Park and San Diego. ﻿September 2017 - Sparta, New Jersey - CP Professional Services Heather Nathanson, P.E. and Sean Sauder wrote a Whitepaper which was published in Effluents Magazine. February 2017 – ﻿Sparta, NJ – The Warren County Municipal Utilities Authority recently completed upgrading the existing Oxford Area Wastewater Treatment Facility (WWTF). The project is being funded with $11,781,795 in loans from the NJEIFP, a joint funding program of the DEP and the NJEIT. Total cost savings to rate payers are estimated to be $2,509,373 over the 20-year financing term. Prior to the project, the design capacity of the WWTF was not compliant with more stringent NJPDES permit levels related to effluent discharge, and required rehabilitation. The rehabilitation includes the construction of aeration basins, clarifiers and influent pumps. The project was designed by CP Professional Services and Built by Thomas Bartha & Son Excavating, Inc.
February 10, 2017 – ﻿Sparta, NJ – It was during a walk home from a college class at Virginia Tech in September 2016 that a flier hanging on a board piqued Will McHugh's interest to visit Tanzania, a trip where he would go to finish building a school for students in the underdeveloped country and climb Africa's largest mountain, Mount Kilimanjaro. 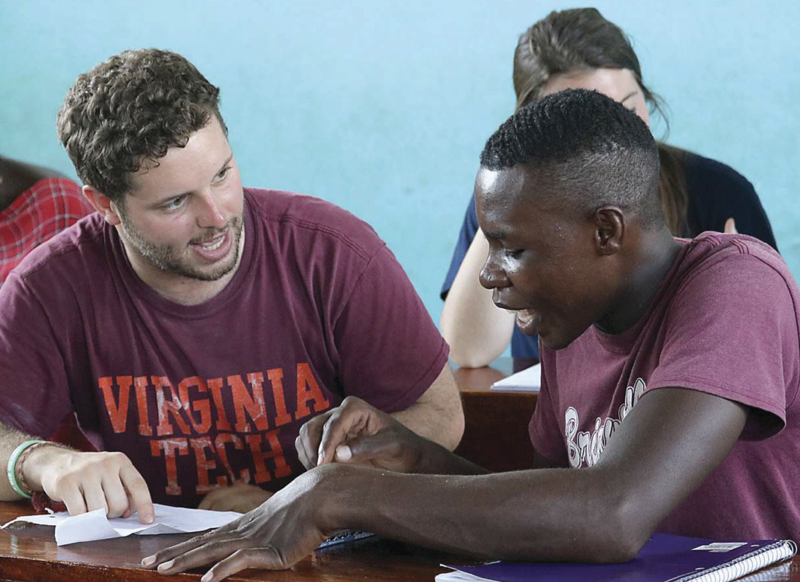 He began his college education at Virginia Tech and, as a sophomore, took a paid internship with CP Professional Services, a consulting firm in Sparta, where he worked on a $10 million reclamation facility near the Delaware River Basin. He continues to work there any chance he has, such as during winter and spring breaks, and was delighted when the firm donated money toward his fundraising for the trip. Stan Puszcz, managing partner from CP Professional Services, said that McHugh has been a "valuable member of the company," and speaking for the entire company, said that they were happy to support him. 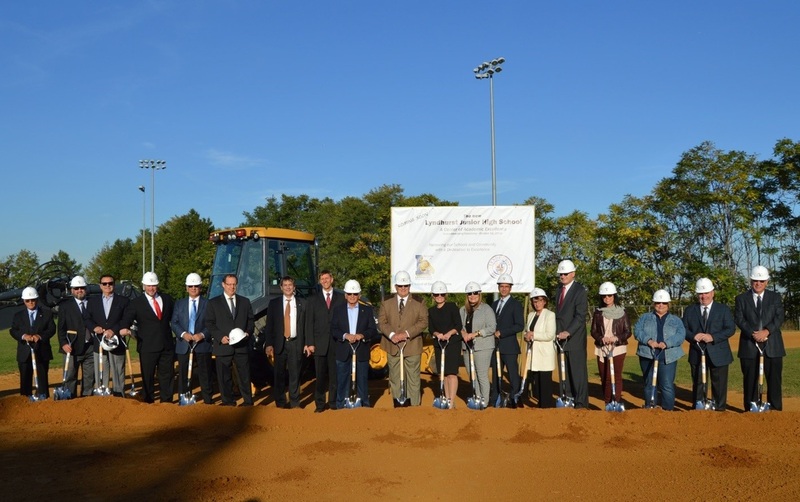 October 11, 2016 – ﻿Lyndhurst, NJ – The Board of Commissioners of the Township of Lyndhurst conducted a groundbreaking ceremony with the Board of Education for the new Lyndhurst Junior High School on October 11, 2016 at 4:30 PM at Matera Field. Preliminary designs for the school were provided by local architecture and engineering firms LAN Associates and CP Professional services, in collaboration with two other architecture firms. The new Lyndhurst Junior High School will serve the 7th, 8th and 9th grades, and provide relief and expansion opportunities to the existing high school and elementary schools. The approximately 110,000 square foot Junior High School will include a three story academic wing, a visual and performing arts theater, and a full size gymnasium with auxiliary gym, locker rooms, weight room and an athletic field. The academic facilities will include a state-of-the-art culinary arts facility and active learning classrooms. It will also provide for instruction in Science, Technology, Engineering and Math (STEM). Additional project highlights include a 21st century pedagogy, where students learn from doing rather than listening. The new facility proposes flexible classroom spaces where the teacher can rearrange furniture to adapt to their lesson plans. Desks and chairs can be moved together to form learning lab tables or informal gathering areas. The design takes daylighting strategies into consideration, where natural light is seen throughout the majority of classrooms and corridors. The new Lyndhurst Junior High School, a $50M project, is part of the Township’s campaign on Renewing our Schools and Community with a Dedication to Excellence. The new Junior High School replaces the 130-year-old Lincoln School as part of the redevelopment of Township facilities. ﻿October 2016 - Sparta, New Jersey - Although he is just finishing his post-graduate College education, Will McHugh is already making a big difference in the lives of those who do not have clean drinking water and sanitary wastewater facilities. Will McHugh is a 22 year old Sparta resident who is currently pursuing his Master’s Degree in Environmental Engineering at Virginia Tech. He chose Environmental Engineering because of his love of nature and the outdoors and his strong desire to have an impact on those around him. Will is supporting an organization called Growth International Volunteer Excursions (GIVE) to build the necessary infrastructure to provide safe drinking water and sanitary facilities to a village in Tanzania. He will be travelling there this winter to work on the project. Will has been a member of our staff throughout his college career and we are supporting him. We welcome others to support him as well. Financial support can be provided through the following website: https://www.volunteerforever.com/volunteer_profile/will-mchugh Water resources is one of CP’s areas of practice. As such, we understand the importance of safe and plentiful clean water. However, as Will stated, “This infrastructure is all too often taken for granted in fully developed countries, but many in the world do not have access to clean drinking water. A plentiful supply of clean drinking water will increase their quality of life”. Will has interned at CP for several years and has been a valuable team member on several important projects. Most notably, Will was instrumental in the construction phase of a $10 million Water Reclamation Facility, which is now helping to maintain water quality in the Delaware River basin, a source of drinking water to 15 million people. ﻿May 2016 - Sean Sauder proves he will go to any length to promote CP, including a grueling, early morning 5K during the annual NJ Water Environment Association Conference in AC. 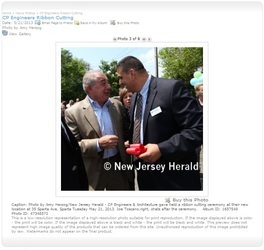 Not only did he end up in the NJWEA magazine, but received lots of “high fives” during the course of the convention. And yes, the “pace car” was a rolling toilet. Great work Sean! ﻿May 2016 - Steve Donati and Sean Sauder will be presenting at the 101st John J. Lagrosa Annual Conference and Exposition of the New Jersey Water Environment Association in Atlantic City on May 17th, 2016. Their presentation is entitled “Oxford Wastewater Facility Upgrade." Three Sussex County companies named Best Places to Work in N.J.
March 2016 - NJ HERALD - SPARTA, NJ – Sussex County, already known as a great place to live and play, is also home to some of the best places to work in New Jersey. Three local companies have been named to New Jersey's Best Places to Work for 2016 by NJBIZ. CP Professional Services in Sparta, Franklin Mutual Insurance Company in Branchville and Nisivoccia LLP in Newton were among 100 selected businesses in the state that were recognized by their employees as great places to work. 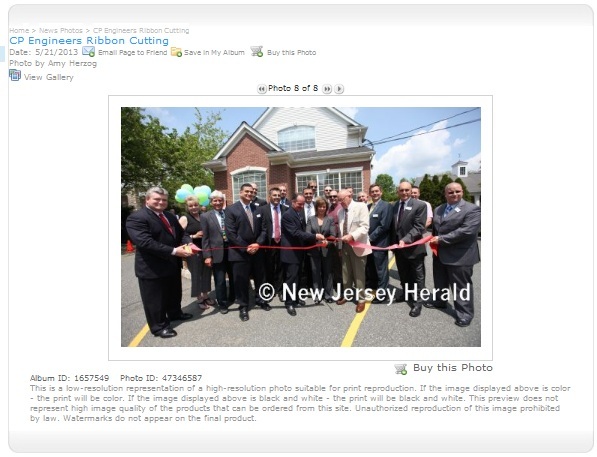 ..."We are very humbled by this honor," said Joe Toscano, one of CP Professional Services three managing partners. "The greatest praise you can ever receive as a company is that your team is happy and proud to be a part of the organization." CP Professional Services' nearly 40 employees provide compliance consulting, engineering, architecture and construction management for pharmaceutical, biotechnology, medical device, food and beverage, manufacturing, educational, municipal and utility organizations and industries. This was CP Professional Services' first year being named one of the state's Best Places to Work. It was also named one of New Jersey's 50 Fastest Growing Companies in 2015. It will be celebrating its fourth anniversary in May. "The well-being and happiness of our organization shows in the high quality of our work and in our customer commitment and service," Toscano said. "Like our customers, our employees mean everything to us; CP Professional Services is a family." Toscano said the company provides its employees with great benefits, flexible schedules, the newest technology, challenging work as well as educational and growth opportunities. The company provides a barbecue every week for all the employees, along with bagels every Friday, coffee every day and quarterly team building events where they close the organization for a half a day and the entire team gets to spend some fun, quality time together, Toscano said. CP Professional Services has offices in Sparta and Florham Park with plans to open offices in San Diego, Calif., in May. 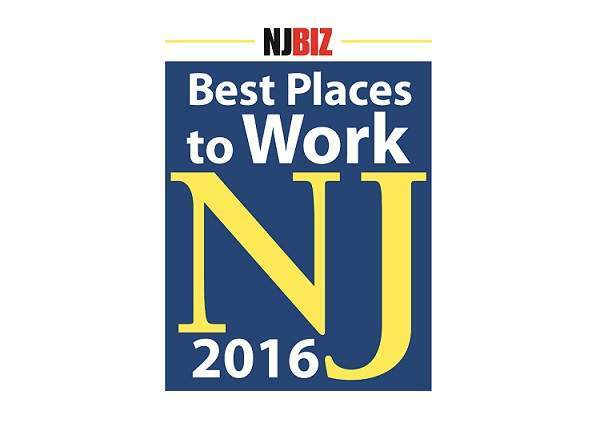 February 2016 - SPARTA, NJ – NJBIZ is pleased to present the 2016 Best Places to Work. What makes an employer one of the Best Places to Work in New Jersey? There are many factors, but one that all of these honorees have in common is a dedication to their employees' professional growth and quality of life. Their concern for their workers' well-being is reflected in surveys filled out by employees that become a key factor in determining award winners, along with an employer benefits and policies questionnaire. Best Places to Work in New Jersey is managed by Best Companies Group and winners will be honored by NJBIZ at a special ceremony April 19 at iPlay America’s Event Center in Freehold. September 2015 - SPARTA, NJ – NJBIZ is pleased to present the 2015 50 Fastest Growing Companies. This award celebrates the Garden State businesses that have demonstrated tremendous growth over the past three years. The Top 50 companies will be honored and their ranking revealed live during an awards ceremony on Nov. 12, 2015. 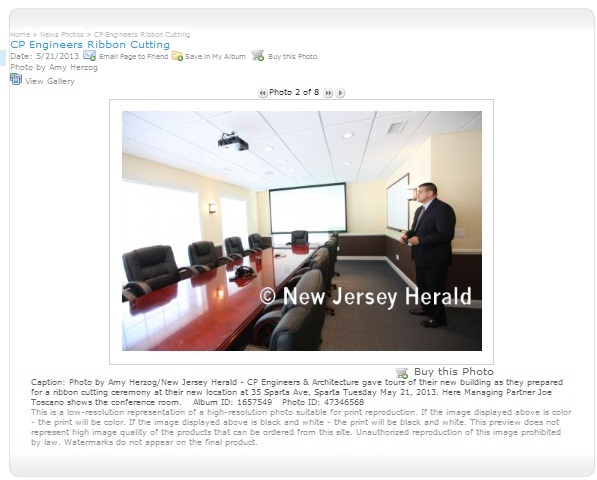 Winners will also be profiled in a special supplement that will be inserted into the Nov. 16 edition of NJBIZ. 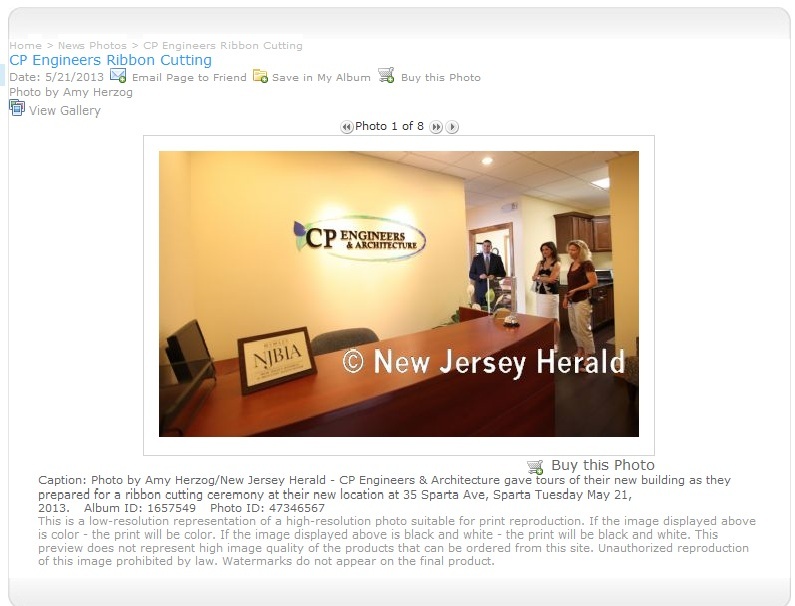 July 2015 - SPARTA, NJ – NJBIZ Magazine featured CP Professional Services in the 2015 issue of NJBIZ Business Profiles, An Inside Look at Business in New Jersey. 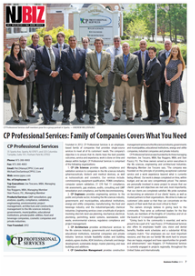 Founded in 2012, CP Professional Services is an employee based family of companies that provides single-source services to meet all of its customers’ needs. The company’s objective is to ensure that its clients have the best possible outcomes, service and experience, work is done on time and always within budget. CP Professional Services is comprised of the following organizations: CP Life Sciences, CP Engineers, CP Architecture, and CP Construction Management. 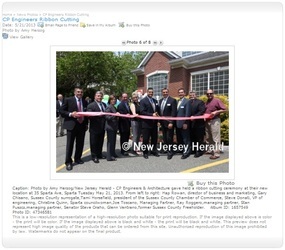 Click image to See full NJBIZ Profile. 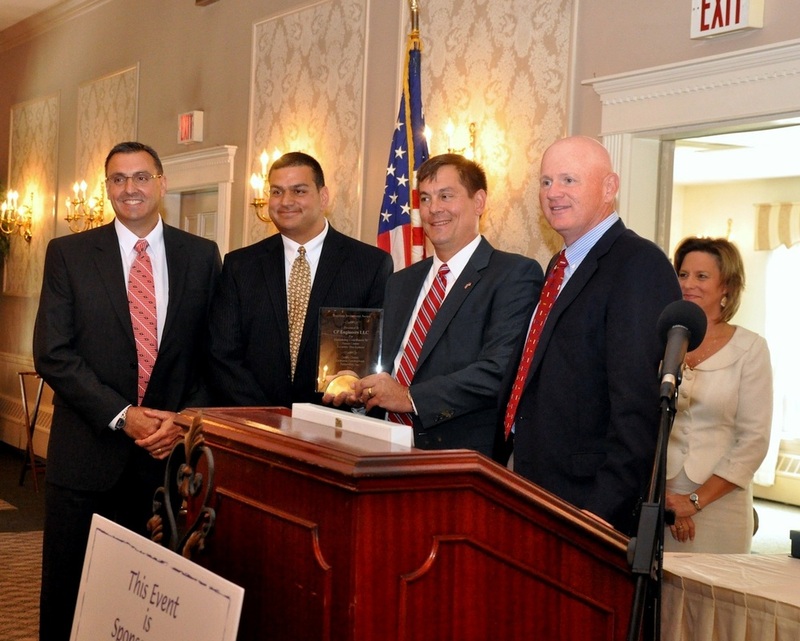 April 30, 2015 - SPARTA, NJ – The New Jersey Alliance for Action on April 30, 2015 bestowed upon CP the Annual Distinguished Engineering Award for Innovative and outstanding engineering developing unique projects that positively impact New Jersey's economy and environment. 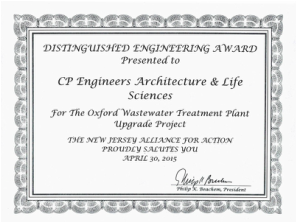 The award for CP's ongoing services to the Warren County (Pequest River) Municipal Utilities Authority critical 2-year, $8.6 Million upgrade of their Oxford wastewater treatment plant in Oxford, NJ. This project is being undertaken within the ecologically-sensitive Highlands Region in northwestern NJ. The Oxford treatment facility is a 0.500 MGD wastewater treatment plant that primarily treats domestic wastewater from residential and business units within the designated Sewer Service Area. February 27, 2015 - HOBOKEN, NJ – STEVENS PME faculty members have begun a comprehensive review of the Pharmaceutical Manufacturing & Engineering graduate program with the goal of continuous improvement. Last fall, the full time faculty completed a self-study report, which analyzed the program since its inception in 2002. This report serves as a baseline for upcoming improvement. The next step in the review process was the hosting of a 1-day External Advisory Board strategic planning meeting on February 27, 2015. Twelve industry professionals have agreed to serve on this board. September 25, 2014 - NEWTON, NJ – Sussex County Community College Trustee Board Members voted unanimously to adopt the college’s revised ethics policy, voted for the extension of the Echelon contract and also approved two re-votes on CP Engineers proposals, at the group’s meeting on Monday, September 22...On Wednesday, September 24, the Board of School Estimate voted unanimously to transfer funds in the amount of $726,000 for the Building D Echelon portion of the project, which had been previously been earmarked from the state’s Go Bond, for refurbishments in Building B.
June 6, 2014 - SPARTA — There were several people recognized for their service to the community at the Sparta Township Council meeting last Tuesday. Councilman Gil Gibbs continued his program, bestowing Patriot Awards to members of the CP Engineers and Architecture firm. Stanley Puszcz, Joe Toscano and Ray Roggero of CP Engineering were recognized for stepping in to provide funding for the traditional Halloween celebration at Station Park after the original supporter backed out. Together with cosponsor Braen Stone they provided financial support for the event to allow it to continue. Read entire article at the link below. March 5, 2014 - SPARTA — The Sussex Borough Council on Tuesday approved a motion to execute a contract with CP Engineers LLC to develop an overview and evaluation of the borough's water and sewer utility to assist the governing body in deciding the future of the utilities. For the work, CP Engineers, of Sparta, will be paid $9,900 for the scope of work. Scope of work includes: research of the water and sewer utilities in the borough, including an analysis of previous utility documents; a utility revenue analysis, where the costs associated with operating and maintaining the water and sewer utilities, as well as the revenue collected by customers, will be reviewed; and a system description and assessment report of the state of the water and sewer utilities. Read entire article at the link below. January 14, 2014 - SPARTA — CP Engineers & Architecture has announced that Sabine Watson, P.E., has joined the firm as a Senior Project Manager. Watson is a Licensed Professional Engineer in N.J., Pa., Del., and Md., and is a Certified Municipal Engineer (CME) in N.J. “We are extremely pleased to have Sabine on board and part of the CP Engineers & Architecture Team,” commented Stan Puszcz, one of the Managing Members of the firm. “Sabine brings a wealth of leadership and management experience to the organization. The firm and our customers will benefit from having her as a part of the CP family.” With more than 15 years of experience in the civil and municipal engineering fields, Watson has served as the primary town engineer for multiple municipal clients, and has been responsible for addressing the engineering needs of communities, ranging from rural to urban diversification. Within these municipalities, she has engaged in: project prerequisite evaluation, budgeting, assistance in funding procurement, design, construction engineering, and administration of public facilities and infrastructure. Read entire article at the link below. December 14, 2013 - NEWTON — Building D on the Sussex County Community College will get a makeover this summer, rather than the two-year time frame originally thought, according to a plan approved by the Board of Trustees in a special meeting Friday. The special meeting was called because the board’s next regular session is in late January, and action to approve an engineering firm for the project now will allow bids to be solicited in early January. The board approved hiring CP Engineers & Architecture for the work at a cost not to exceed $346,400, but at the meeting the trustees were told that price would drop by more than $42,000 if the work is done this summer, rather than spreading the job across two summers. Frank Nocella, the college’s Vice President of Finance and Operations, said there has been talk with the county’s Board of School Estimate on financing of the project and with the board’s help the work can be financed this year, rather than the original plan... Read entire article at the link below. December 3, 2013 - SPARTA — Russel Sakowych, P.E., has joined CP Engineers and Architecture as Sr. Project Manager. Sakowych is responsible for the engineering in the areas of electrical, mechanical and plumbing. He is a Licensed Professional Engineer with over 40 years of extensive experience in the electrical and mechanical engineering fields. During his career, Sakowych has worked on nuclear plant instrumentation and controls with PSE&G, plant engineering with American Hoechst Pharmaceuticals, and as a consulting engineering with F.R. Holtaway. November 23, 2013 - NEWTON, NJ — A $5.8 million state grant — which is Sussex County Community College’s share of a $750 million bond question approved by New Jersey voters last year — may soon go toward constructing a new academic building.The college’s Board of Trustees gave the OK on Monday evening for the administration to continue with an application for the state’s Go Bond Grant, which is aimed at funding higher education projects. If the grant is approved by the state, a four-floor academic building with 12 classrooms could be coming as early as 2014, according to Vice President of Finance and Operations Frank Nocella. Chairman Glenn Gavan said that the new academic building will provide more “state-of-the-art classrooms” and is a “creative way to bring new students in.” The building will provide space for larger classes of up to 48 students, if needed, and will allow for greater partnerships with four-year schools holding courses on campus...A first round of funding has already begun to finance projects around the state. SCCC has been preparing its application for a second round of funding by having CP Engineers update its master plan to include the new academic building and other long-term projects. The timeframe for the second round has not been announced yet. Read entire article at the link below. 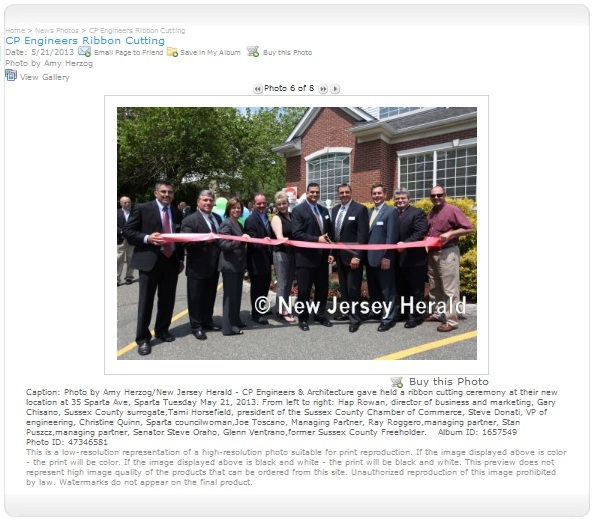 November 23, 2013 - LAFAYETTE, NJ - Business growth is a laudable and oftentimes challenging goal. In the current economy it’s a praiseworthy achievement. So it is fitting as well as encouraging that the Sussex County Economic Development Partnership listed about three dozen businesses, entities and individuals among candidates for its ninth annual awards luncheon held Friday. Fourteen nominations were tallied for the new business category alone. Another seven businesses were listed for consideration for the business expansion award — no small feat in recent times. Interestingly, one of the winners in that category, CP Engineers and Architecture, received a business investment award last year as CP Engineers LLC...Congratulations and thanks to all who work to keep the economic wheels turning forward in Sussex County. Read entire article at the link below. November 23, 2013 - LAFAYETTE, NJ - “Leaders of economic development, both in the ethical business practices and in the economic value they bring to our county,” were lauded Friday at the Sussex County Economic Development Partnership’s ninth annual awards luncheon...“The importance of this (award ceremony) is to really thank those who give so much to this community,” said Tammie Horsfield, the president of SCEDP...In the business expansion category, which recognizes businesses that continue to expand through employee growth or capital investment, McGuire Chevrolet in Hampton, and CP Engineers & Architecture in Sparta received the award. Read entire article at the link below. 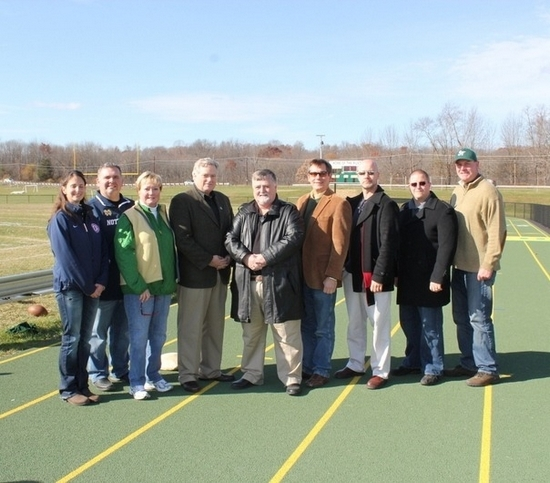 November 18, 2013 - SPARTA, NJ - Sussex County Technical School officials recently invited Board of Education members, county freeholders and CP Engineer and Architecture consultants to celebrate the construction and installation of the school's new track and scoreboard. A ribbon-cutting took place before the Mustang's football game on Nov. 9. June 27, 2013 - NEWTON, NJ - An engineering firm [CP Engineers & Architecture] has been hired by Sussex County Community College to put down on paper some of the ideas as to what the campus could look like a couple of decades from now and, in the near future, how the college could use nearly $6 million in state and county financial help. 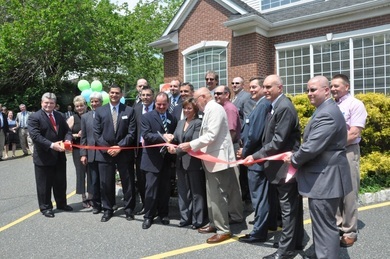 May 21, 2013 - SPARTA, NJ - The partners and employees of CP Engineers & Architecture celebrated the ribbon-cutting for their new company headquarters, opening the doors to customer members, business associates, family members and friends, on Tuesday, May 21. Prior to the ribbon-cutting, guests had the opportunity to tour the headquarters building. February 14, 2013 - SPARTA — The Township Council will soon have a decision to make on whether to invest in upgrades to the White Deer Plaza wastewater treatment facility or to convert the facility to one that would strictly collect water and send it for treatment elsewhere. ...To conduct the study, the Township Council approved a resolution Monday to retain the services of a team of outside experts from CP Engineers, of Sparta. The firm will assist the township staff in evaluating the costs associated with upgrading the plant or converting it to a facility geared strictly to the collection and conveyance of wastewater. CP Engineers wins SCEDP "Business Investment Award"